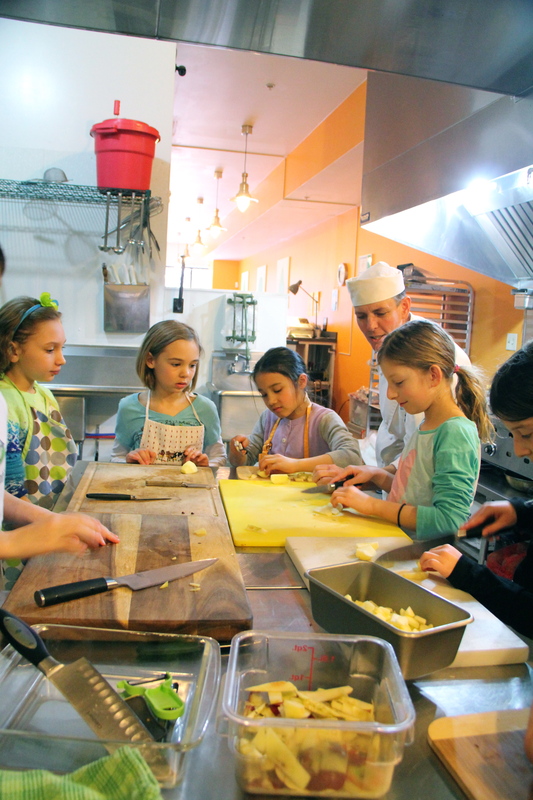 Join me once again at Chefanti in West Chester, PA this Saturday, October 4th where I will be teaching Fall Flavors cooking class for kids ages 5 to 12 along with the talented Chef Anne Moriarta. Remember making healthy food choices starts at a young age, let’s empower your child with basic knife skills, hands-on learning experience and cooking with fresh vegetables and fruits in season! 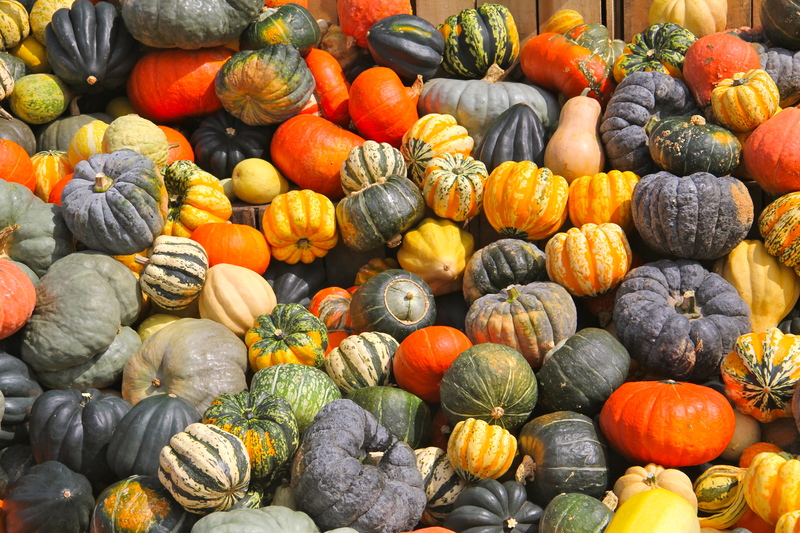 We’ll be playing with lots of Fall ingredients such as butternut squash, red and yellow beets, jícama, apples, orange, etc. Of course, let’s not forget about a little chocolate treat made with yummy dark chocolate, Goji berry and hemp seeds superfoods! *Price includes: Safe knife-skills, hands-on cooking, recipe booklet, shared meal at the end of the session, goodie bag and of course lots of fun! Brussels sprouts around the table! 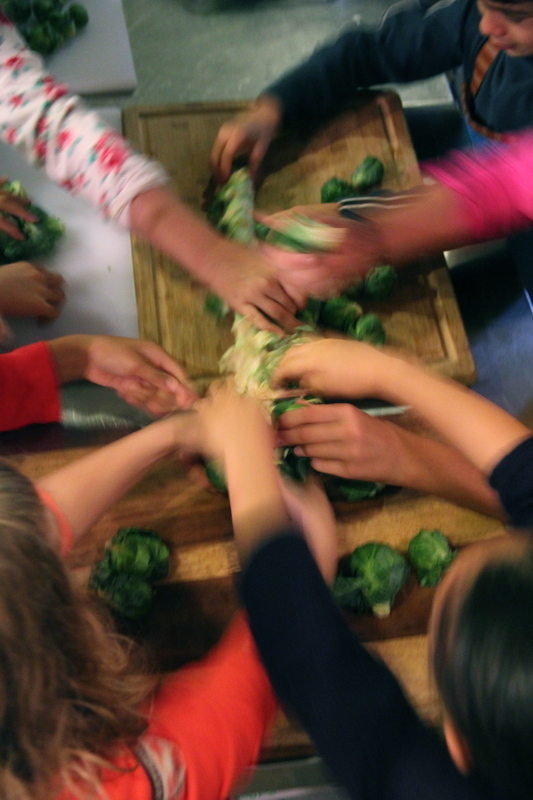 You could see additional cooking with kids class photos via this link or at Ketmala’s Kitchen facebook page. Check out the last write up from Nina Malone at westchesterdish and learn more about Chefanti and Ketmala’s Kitchen collaboration. Enjoy this beautiful Fall Season Everyone!